Clos Pons was established by the Pons family of Catalonia in the district of Les Garrigues. Experienced in producing quality olive oil, they have now expanded their empire to creating quality Spanish wine. Minerality, concentration, freshness are the watchwords of Clos Pons. Their distinctive wines have a contemporary profile which has to be sampled. The vineyards lie around the towns of La Pobla de Cérvoles and L’Albagés in north-east Spain. Around 40 hectares of red and white grape varieties have been planted at high altitudes of 500 – 700 metres above sea level. An extreme continental climate adds to the unique terroir. The landscape is outlined by olive and almond trees and distinguished by its dry, arid soil. The olive tree is the most widespread crop in the region. The typical olive tree variety is the Arbequina, which produces high quality oil from the small, round olive of the tree. The Set River, the most important river in the district, starts in the heart of Serra de la Llena. Most of the year it is dry due to the arid and continental climate. The ancient rocks that can be found in the upper part of Les Garrigues add minerality to the wines. The rocky soil retains heat adds character. 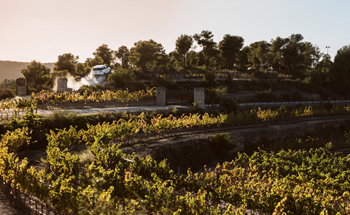 Aromatic richness comes from the fragrances of the Mediterranean scrubland that surround the vineyards in La Pobla de Cérvoles. You may detect rosemary, thyme and other herbs, even pine needles, in the aroma of this top quality Spanish wine. Grapes are hand harvested. They are then aged in French and American oak vats and barrels. Everything is grown, produced and bottled on the property. Clos Pons has had organic certification since 2008. 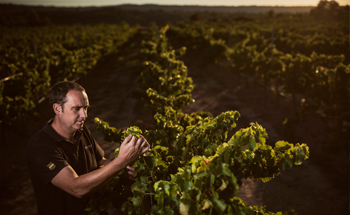 The limited production produces premium, terroir-driven wines.